Aside from offering top-notch Alpine walking, the Haut Giffre area of the Haute Savoie has some interesting history. Alfred Wills, one of the founders of the Alpine Club and grandfather to Edward Norton (of Everest fame) built a chalet here in the 1860s. Today it stands deserted, but you can stay at the Refuge Alfred Wills, a charming hut named in his honour. 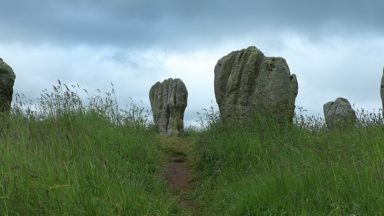 The best thing about being asked to revise a Cicerone guide is that you get to re-discover places that you have not visited for some time, and to re-do your favourite walks. 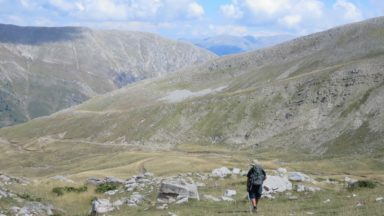 And so, when preparing the new edition of Walking in the Haute Savoie: South, I was able to get reacquainted with the area known as the Haut Giffre, near the village of Sixt, and return to two of my favourite walks there. The Haut Giffre is a walker’s paradise of high mountains, alpine lakes and magnificent waterfalls, dominated by the snow-covered peaks of Mont Blanc to the south and Mont Ruan, the Pic de Tenneverge and Mont Buet to the east. 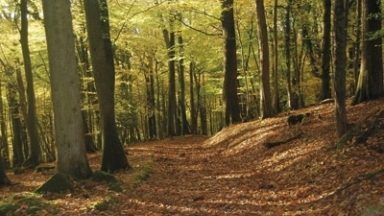 The walking trails here remain largely unknown, and once you leave the valley floor you will frequently find yourself alone. 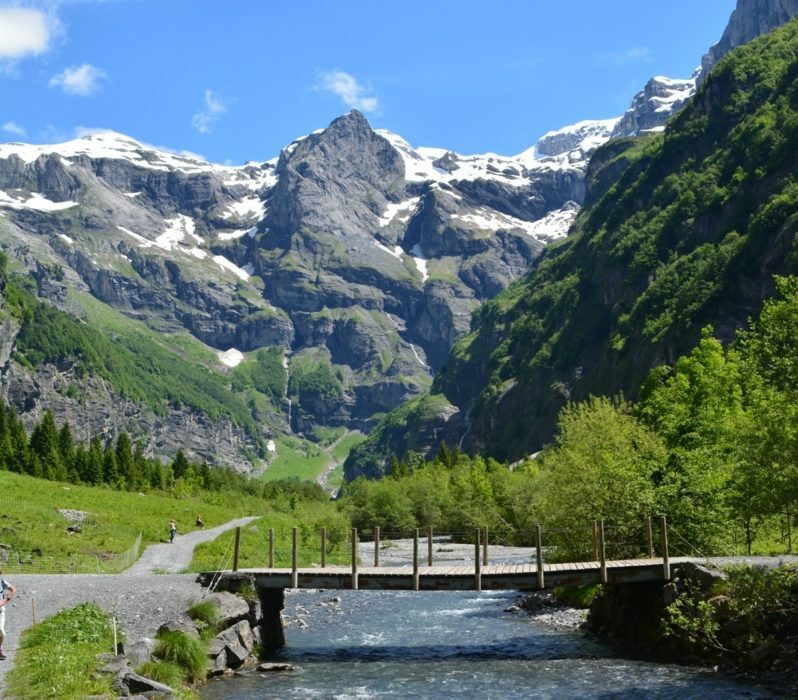 Just east of Sixt is the Cirque du Fer-à-Cheval, a dramatic amphitheatre of rocky peaks with waterfalls cascading down them. 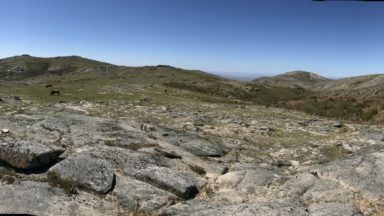 Although the restaurant and picnic areas here are often crowded, few venture further into the wild, rocky landscape higher up, home to ibex and chamois. This is the start of one of my favourite walks, up beside the Giffre river as it nears its source, the nearby slopes covered by a myriad of flowers. 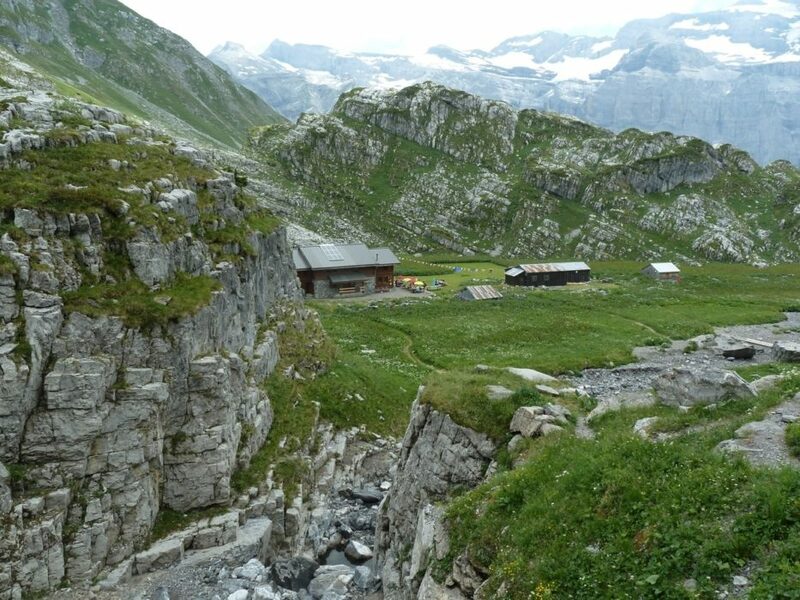 But it is long and challenging, and you have to be fit to climb the steep and exposed rocks of the Pas du Boret up to the isolated Refuge de la Vogealle and the lake above it, more than 1100m above the valley floor. 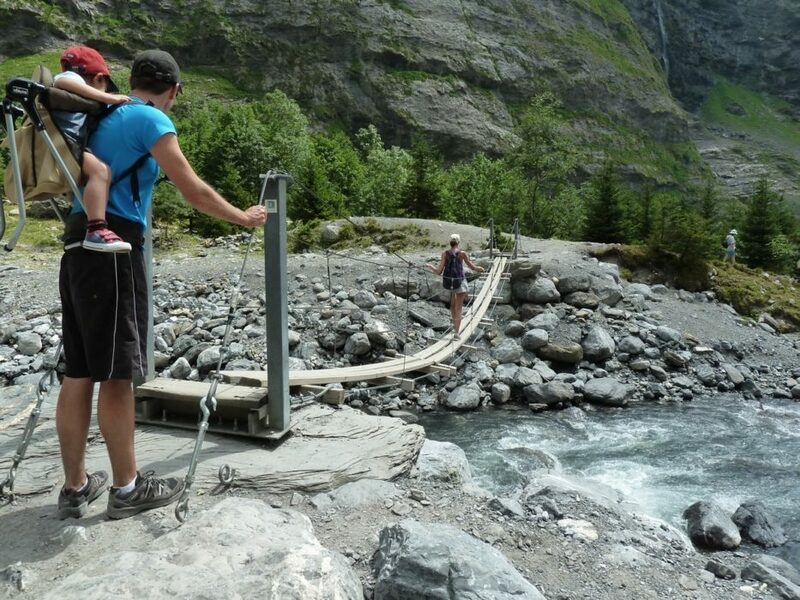 The descent leads to the aptly named Bout du Monde, ‘the end of the world’, and then over a narrow, rickety suspension bridge to return down the other side of the river. Another of my favourite walks in the Haut Giffre is a wonderful two-day hike starting near the spectacular waterfall of the Cascade du Rouget. On the first day you follow a tributary of the Giffre river up to the chalet of the Eagle’s Nest in the pastures of the Cirque des Fonds. 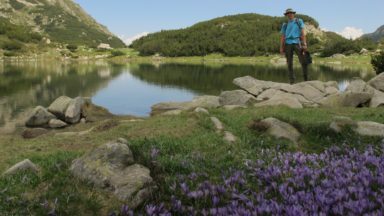 This is a nature reserve, bright with alpenrose and gentians in summer, where you stand a good chance of seeing furry marmots sunning themselves on the rocks, or at least hearing their high-pitched warning whistle. The path then climbs up over grassland and heather to the Lac d’Anterne, the highest point on the first day’s hike, from where you can see the GR5 continuing to the Col d’Anterne in the distance. After descending for an overnight at the Refuge Alfred Wills, you walk down to the two large waterfalls of Pleureuse and Sauffaz, and then turn south to climb steeply up through a gorge, past more dramatic waterfalls, to the small chapel dedicated to the local saint, François de Sales. After this the terrain becomes rockier as the route crosses the plateau of Le Grand Pré and finally reaches the spectacular viewpoint of Le Dérochoir, with the Chamonix valley below and the glistening snows of Mont Blanc ahead. I first discovered this area nearly 50 years ago, but another English alpinist, Sir Alfred Wills, discovered it more than 100 years before me, and each time I do the walk I feel that I am treading in his footsteps. Alfred Wills (1828-1912) was an eminent barrister and High Court judge, the best known trial over which he presided being that of Oscar Wilde in 1895. He first visited the Alps in 1846 as a student aged 18 and came back every summer, growing to love both the alpine scenery and the flowers. He went on to make the first ascent of the Wetterhorn from Grindelwald in 1864, accompanied by the Chamonix guide Auguste Balmat, and this is said to have marked the start of the golden age of alpinism. When the prestigious Alpine Club was inaugurated in London in December 1857 he was one of the twelve founder members, and was later to become its third president. The scenery struck us as uncommon in character and unique in beauty, and as we stood at the edge of the level ground, it passed through my mind what a glorious site it would be for a chalet. When he took his young wife Lucy with him on a visit the following summer she fell in love with it too, but it was only after protracted negotiations with the commune of Sixt that he was able to buy the land he wanted. 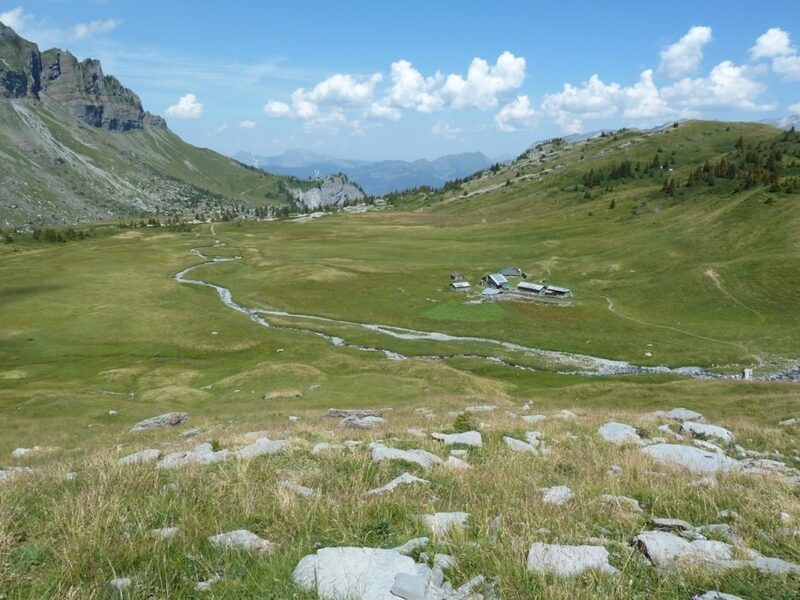 The rich alpine pasture was – and still is – used for grazing, and in addition the locals were convinced that Wills had found the gold which Jacques Balmat, the first to reach the summit of Mont Blanc, had lost his life in seeking. Once the land was his Wills lost no time in marking out the position of the chalet, and Lucy started on the design for the building. It was to be an unusually large chalet with polished wooden ceiling and floors, centred around a magnificent carved wooden staircase. Downstairs were a dining room, a drawing room with piano and billiards table, a large kitchen and a boiler room, whilst the two upper floors were filled with bedrooms and contained a bathroom with hot and cold running water. Wills named it the Eagle’s Nest, 'Le Nid d’Aigle' in French. Sadly, Lucy did not live to see its completion as she died in 1860, leaving Wills with two young children. After re-marrying he went on to have five more, and spent nearly every summer with his growing family at his beloved chalet. He introduced his children – and later, grandchildren – to mountaineering from here, instilling in them his love of the mountains. One of his grandsons was Edward Norton, his eldest daughter Edith’s son, who went on to become the leader of the 1924 Everest expedition and to reach 28,126ft on the north side, the highest point reached without supplemental oxygen for the next 54 years. 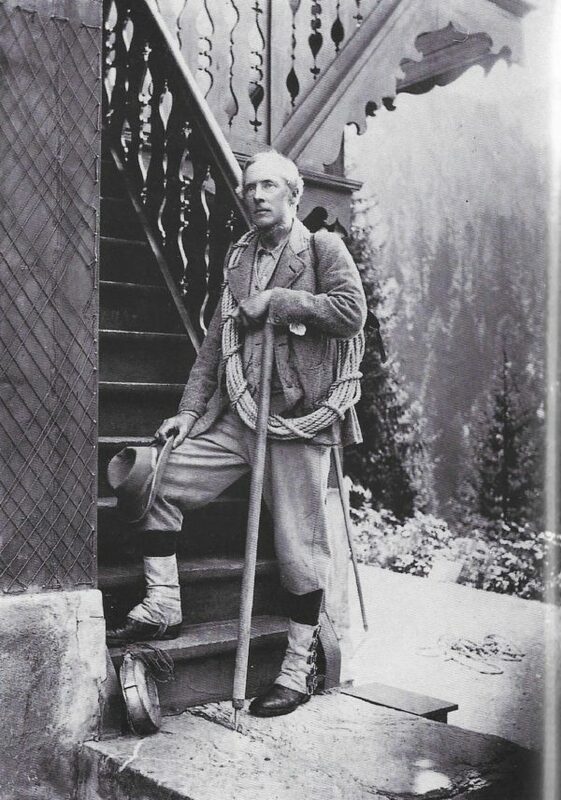 Sixt was relatively unknown to the English before Wills built the Eagle’s Nest, and he often invited his mountaineering friends to spend summers at the chalet with him. From then on he rarely climbed in any other area, and together with family members and friends, he pioneered many routes in the surrounding mountains, including the first ascent of the spiky Pic de Tenneverge, best seen from the Cirque du Fer-à-Cheval. It was through his influence that the locals decided to found their own company of guides in 1864, the Compagnie des Guides de Sixt. 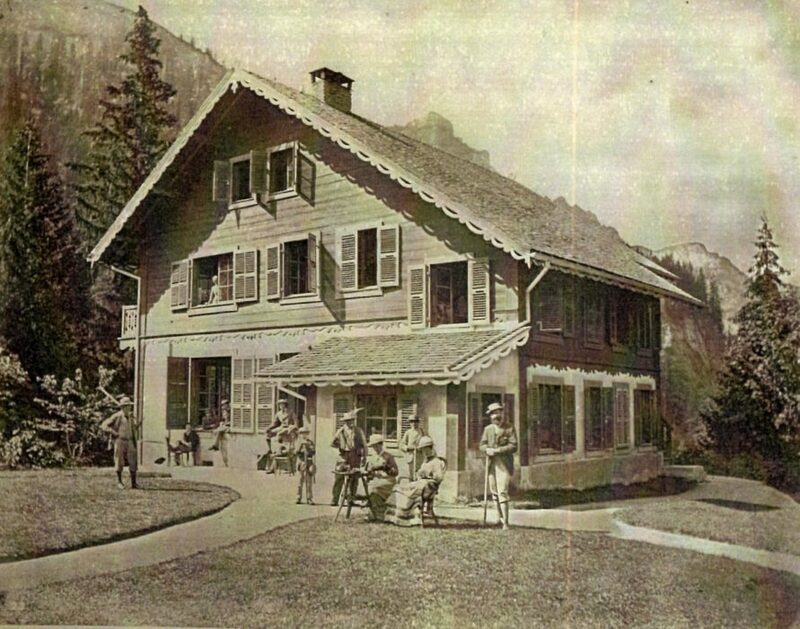 The Bureau des Guides is now in possession of a collection of papers and articles on Wills and the Eagle’s Nest, with photographs showing the chalet and its many visitors, and it is thanks to them that we have access to the old photos reproduced here. 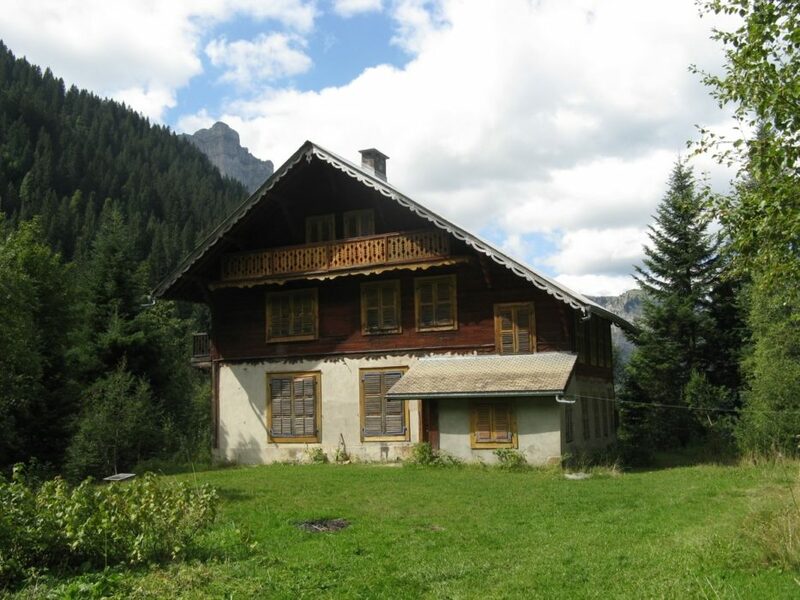 Wills spent his last summer at the chalet in 1902, and two years later he gifted the property to his daughter Edith. She spent a total of 55 summers in the chalet, together with her children and other family members. Everyone in Sixt knew and liked the family, and when her son Richard Norton was killed in World War I, he was commemorated on the war memorial in the centre of the village. Edith was 81 when she died in August 1936, and she is buried in the graveyard at Sixt. Her sons inherited the Eagle’s Nest, and on returning there after the war, were horrified to find it in such a bad state. They spent short holidays there in 1949 and 1953, but finally decided to sell it in 1958, thus ending the family’s long association with the area. However, the great man’s name is not forgotten, for the Refuge Alfred Wills, 400m above the Cirque des Fonds, is named after him. Inside the dining room there is a photograph of him in mountaineering gear standing outside the Eagle’s Nest, with a page of information about him. 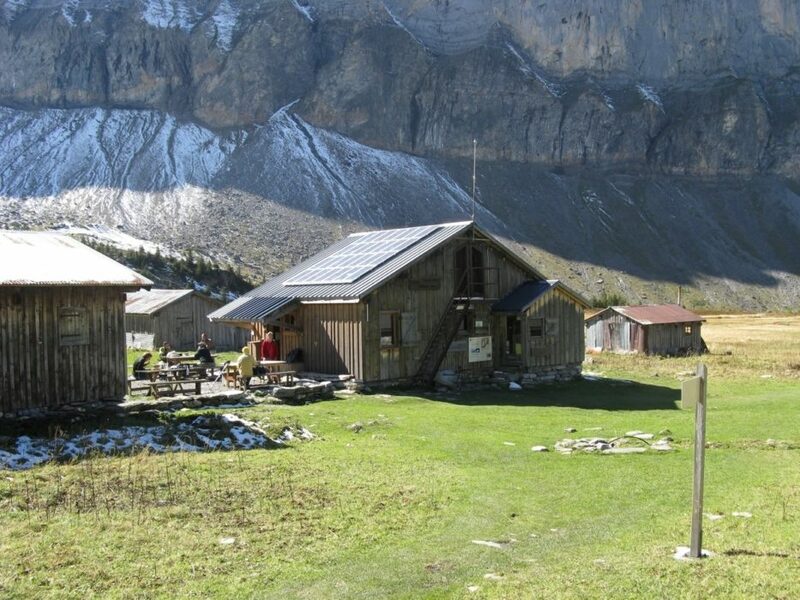 Although the refuge consists of only two small wooden buildings, it is always busy in the summer months since it is a favourite overnight stop for walkers on the GR5 long-distance footpath before heading south over the Col d’Anterne to Chamonix, and eventually to Nice and the Mediterranean. Those who visit the Eagle’s Nest do not easily forget it either, and the chalet has appeared prominently in two new books published earlier this year. The first is a biography of Edward Norton, written by his son Hugh. Entitled Norton of Everest, it includes Edward’s childhood holidays at the chalet. The second is a novel entitled The Valentine House, by Emma Henderson, who spent some years living near Sixt. 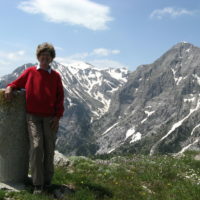 The house in her novel is based on the Eagle’s Nest, and her main character is inspired by Alfred Wills, although she makes it clear that her character and the events of the novel are purely fictional. 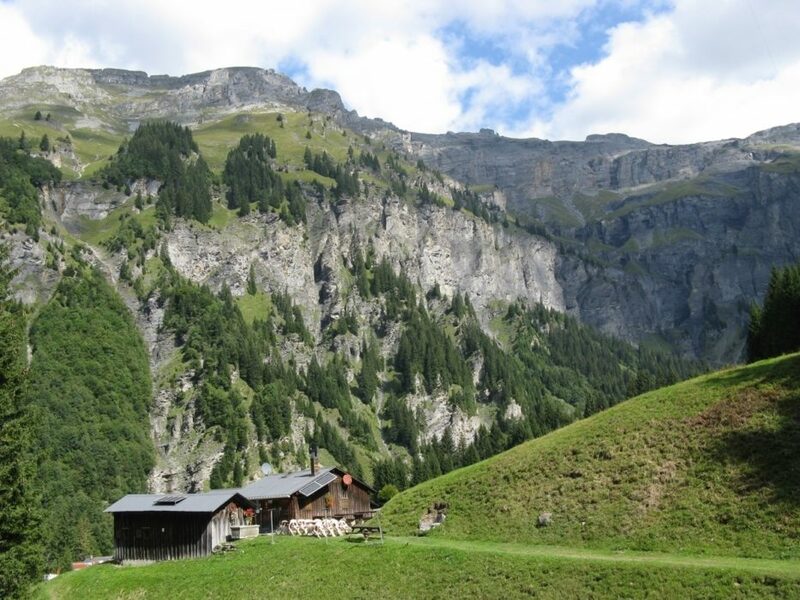 However, it is Alfred Wills’ own book, written in 1860, The Eagle’s Nest in the Valley of Sixt, that still remains the most evocative account of summers at the Eagle’s Nest and of the excitement Wills felt on first discovering this lovely valley. Many thanks to the Bureau des Guides at Sixt who were very helpful in sourcing the old photos included here. Walking in Haute Savoie: South is available now. Haute Savoie: North will be published in November 2017.